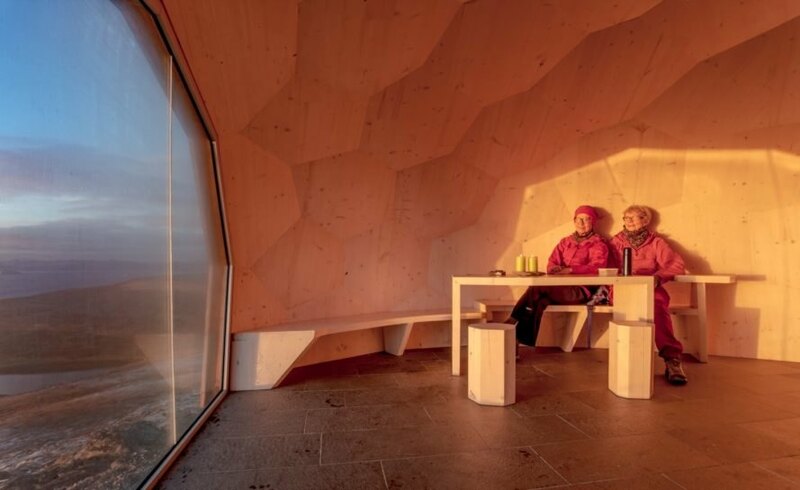 Commissioned by the Hammerfest chapter of The Norwegian Trekking Association (DNT) and brought to life by crowdfunding and community support, the Hammerfest Hiking Cabins were designed to not only provide a warm and weather-resistant rest stop, but also a beautiful wooden structure that could serve as an attraction in itself. 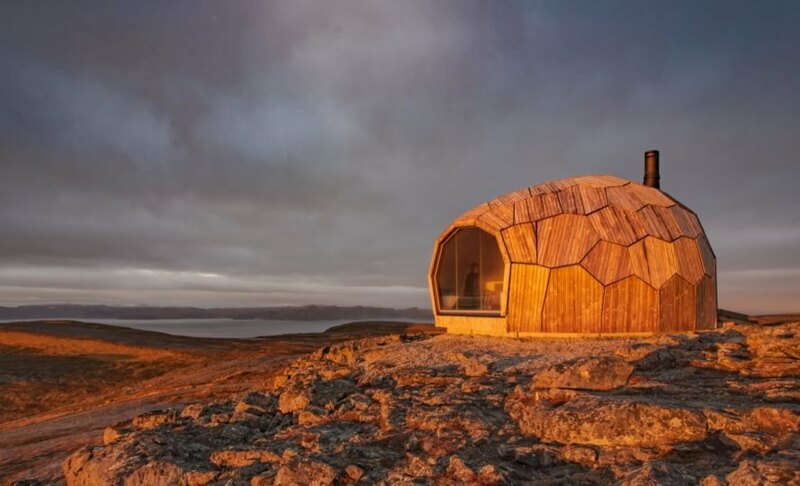 SPINN also wanted the cabin to blend in with the local terrain and based the building’s appearance off of a large boulder, hence the double-curved shape. Computer modeling and mapping technology were used throughout the design and construction of the project, from the 3D site mapping carried out with a drone and photogrammetry software to the assembly of the prefabricated CLT panels in a controlled warehouse environment. The design team also used Sketchup, Rhino and customized scripting tools to optimize the cabin’s shape. Snow and extreme wind simulations were performed to test the resiliency of the design, while 3D printing was used to test assembly and cladding options. 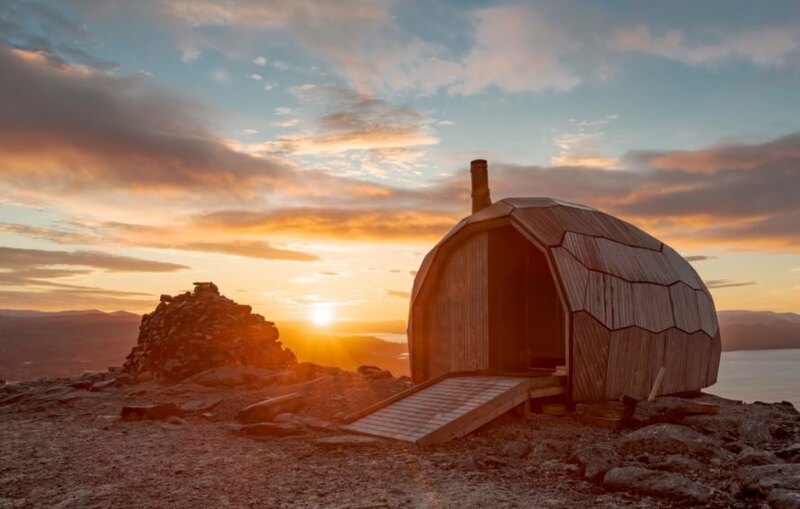 Volunteers built the first Hammerfest Hiking Cabin in 2018, with the 15-square-meter prefabricated CLT cabin structure assembled in over four workdays. 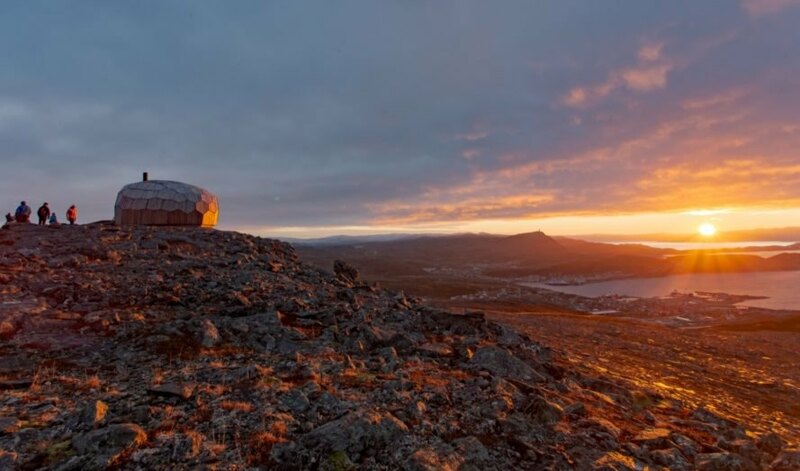 After prefabrication, the cabin was split into two pieces and transported on a flat bed lorry to Storfjellet, where it was then lifted into place and winched together. The full-height window, fireplace, ramp and interior furnishings were fitted into place on site. The estimated budget per cabin is 100,000 Euros. 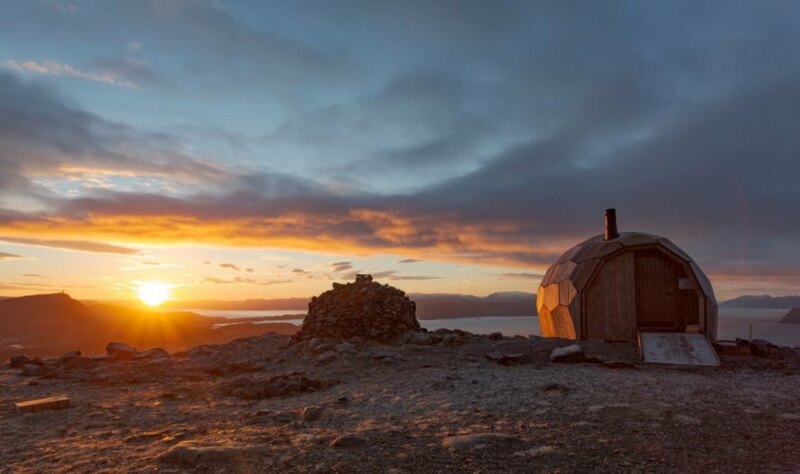 The contemporary cabin is located in the mountains of Hammerfest, Norway. There will be a second cabin built in Tyven in 2019. 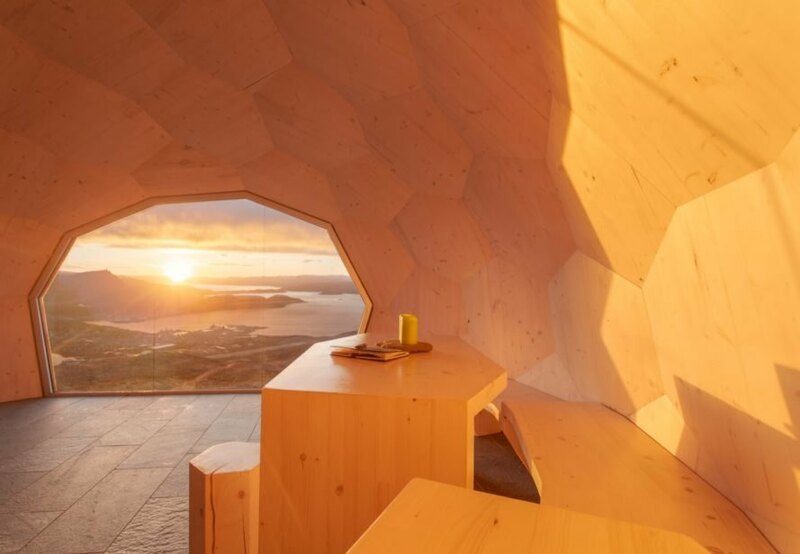 The circular timber cabin features 77 panels that fit together perfectly. 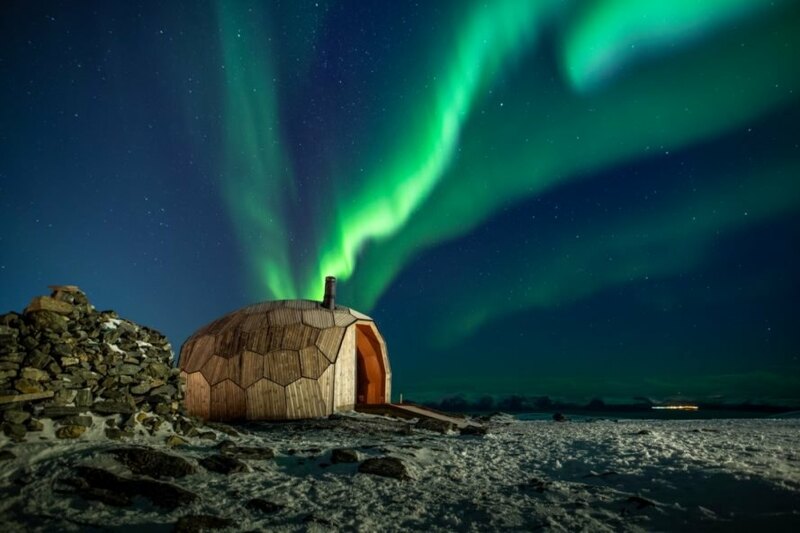 The cabin was brought to life thanks to crowdfunding and community support. 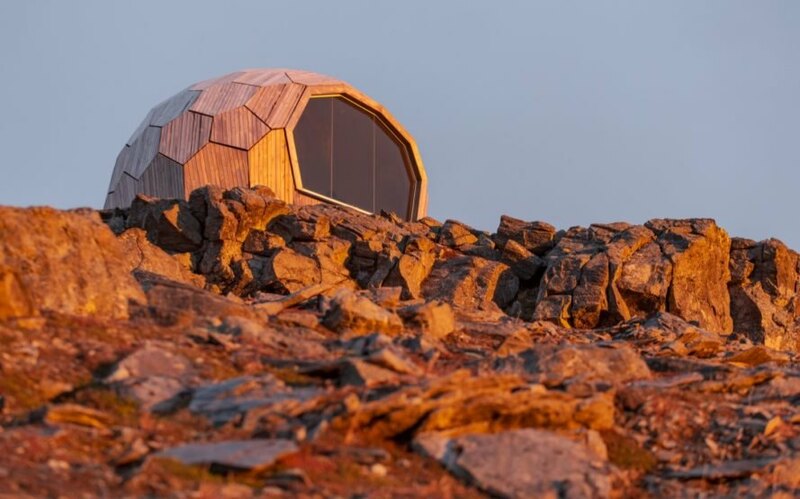 Designers and architects SPINN wanted the cabin to blend in with its natural surroundings. The building’s appearance is that of a large boulder. Computer modeling and mapping technology were used to design the cabin. Volunteers took over four workdays to assemble the main structure of the cabin. 3D site mapping, drones and photogrammetry software were used to assemble the prefabricated CLT panels. 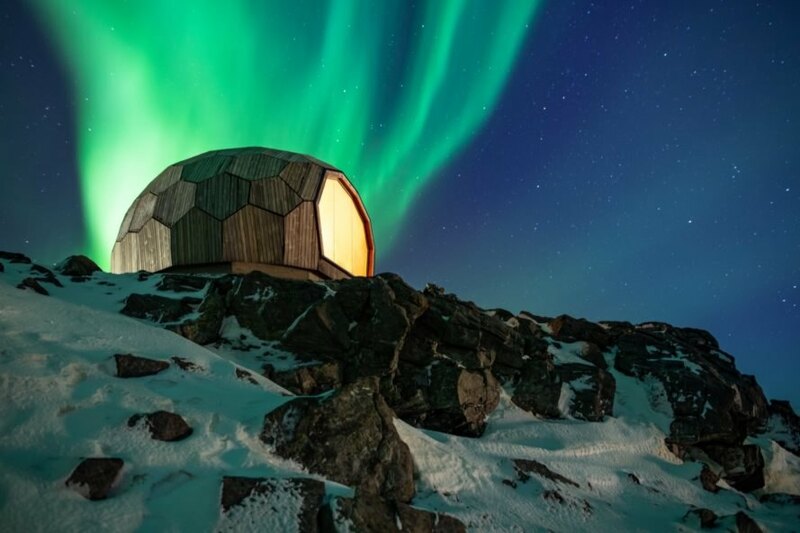 Snow and extreme wind simulations were performed to test the cabin.